Equipment Rental of a wide range of products which include comfort gel full face mask-philips and full face bipap mask. Stability Selector moves freely and is easy to adjust. 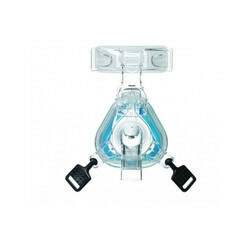 The full face mask is a ventilation device of Cpap-Bipap therapy. It is used by medical care professional for oxygen transmission to patients.